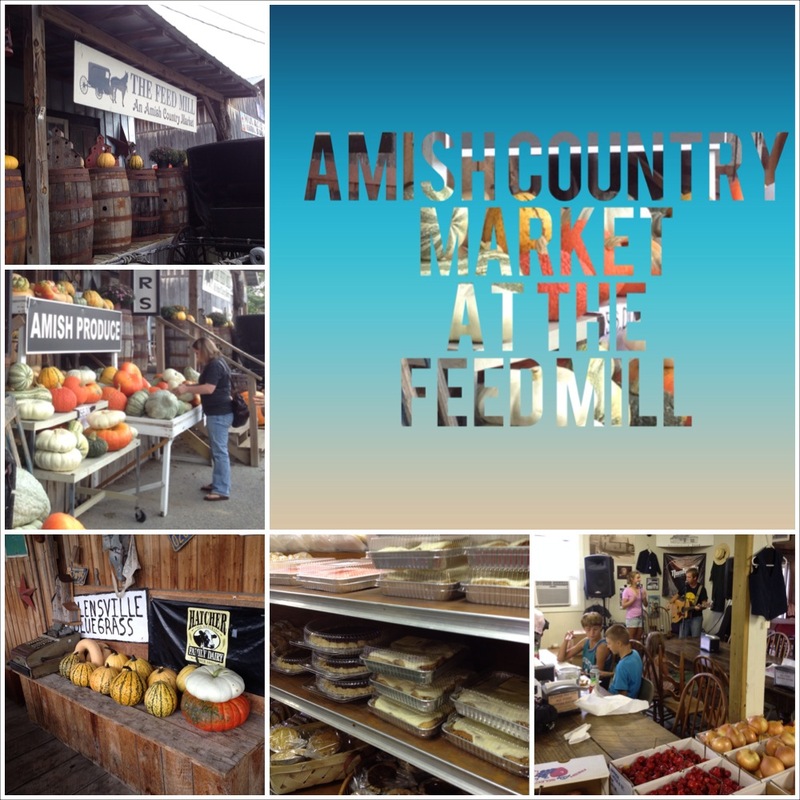 Sweet Daddy and I decided to head over to Nolensville Tennessee and pay a visit to The Feed Mill Amish Country Market. Boy, are we glad we did! From the moment we pulled up, I had my camera out taking pics. After taking numerous pictures of all the antiques and fall decorations, we finally made it inside the store. There was so much to see and hear, every Saturday from 11 to 2, they have live music. There was an array of baked goods, jams, relishes, pickled vegetables, syrups, noodles, candy, baking mixes, butter, produce, clothes, dolls, and much more! We picked up a basket and began to fill it. My husband grabbed a package of Amish cinnamon rolls, I went for the Amish noodles, Sweet Daddy moved on to the miniature pies, he grabbed a pecan and a chocolate. I went for the spices and produce, then moseyed over to the table of whoopie pies, and yes, one did find it’s way into my basket. We ended at the deli and out of the many options, we decided to split the chicken salad sandwich on fresh Amish wheat bread topped with a big ol’ mater, Yummy! They sell their chicken salad by the pound so you can take some home. Don’t forget the loaf of bread! I want to tell you, this was a great outing. They have a barn next door in which they sell Amish made furniture. Every Saturday morning, they offer a breakfast buffet. Everything we bought was awesome. I used my noodles to make a pot of chicken and dumpling soup. It was soooo good! Grab a friend or lover and head to Nolensville to check out this great place to eat and shop. We are already planning our next trip. P.S. Don’t forget to pick up a jar of FROG jam!